Over time, the feature will provide even more useful tips. As your energy consumption behavior changes, you will receive new recommendations to help you save even more. In addition to receiving customized energy saving recommendations, you’ll earn a special badge when you complete a recommendation. Collecting badges is a fun way of keeping track of your accomplishments to reduce energy waste and save money. And you might even strike up some friendly competition among family and friends to see who can collect the most badges the fastest! We’ve also made it easier to see how much energy you’re using with a new display feature on the Google PowerMeter chart. 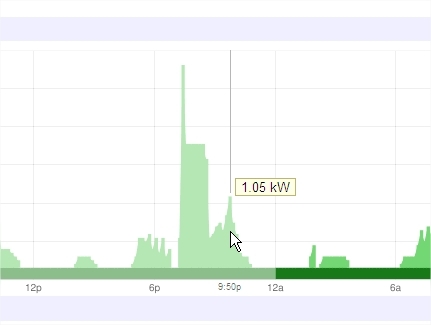 Now, when you move your cursor over the chart, you’ll see a pop-up that shows the amount of power used at that moment in time. 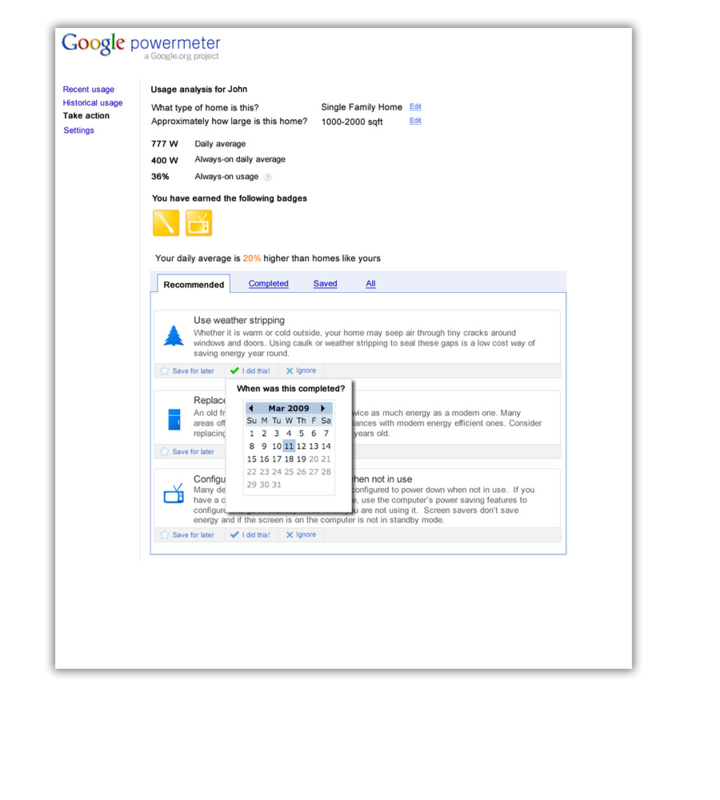 Stay tuned as we continue to develop new features for Google PowerMeter. Google PowerMeter now offers personalized energy savings recommendations to help you save more energy and show off your savings. You can find it under “Take action” in your Google PowerMeter page.